Articulating Foil TrollFoil’s built in handles eliminate the need to use a separate forceps or handle during placement and removal. 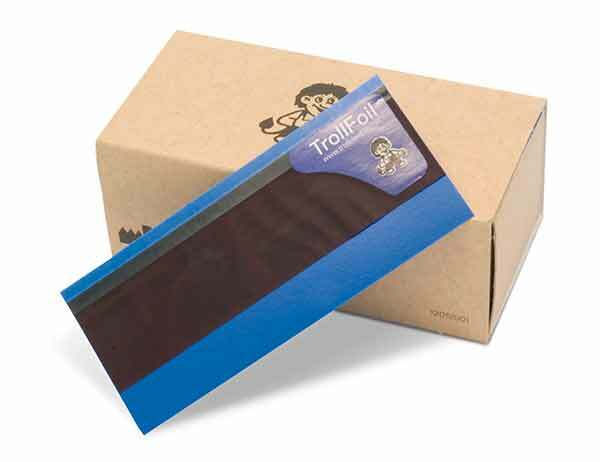 TrollFoil, from TrollDental, is ultrathin, 8 ?m gauge articulating foil. It is carbonated on both sides, and the manufacturer says that it delivers fast and precise blue markings. In addition, each sheet of foil has a built-in handle, which eliminates the need for forceps.